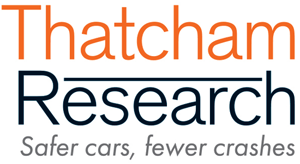 Thatcham Research is the independent voice of automotive safety, security & repair, advising motorists, insurers and vehicle manufacturers to help reduce accident frequency, severity and costs and to realise the vision of ‘Safer cars, fewer crashes’, while driving standards in vehicle security. As well as its world leading crash and track research, Thatcham Research develops repair methods amongst a number of other products and services within the collision repair industry for insurers, motor manufacturers, equipment manufacturers and suppliers. In addition, Thatcham Research has administered the Association of British Insurer’s (ABI) Group Rating system for the past 50 years. Group Rating is an advisory system intended to provide insurers with the relative risk of private cars and light commercial vehicles. A founder member of the international Research Council for Automobile Repairs (RCAR), Thatcham Research has also been a member of the European New Car Assessment Programme (Euro NCAP) since 2004.